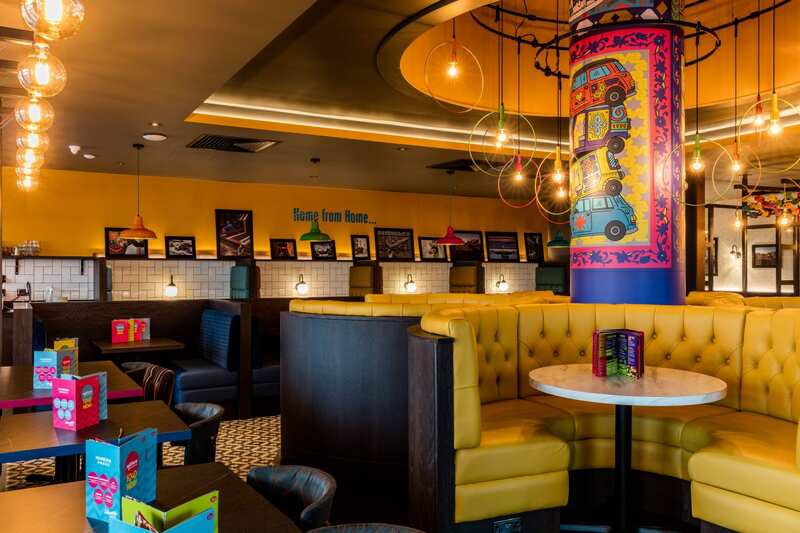 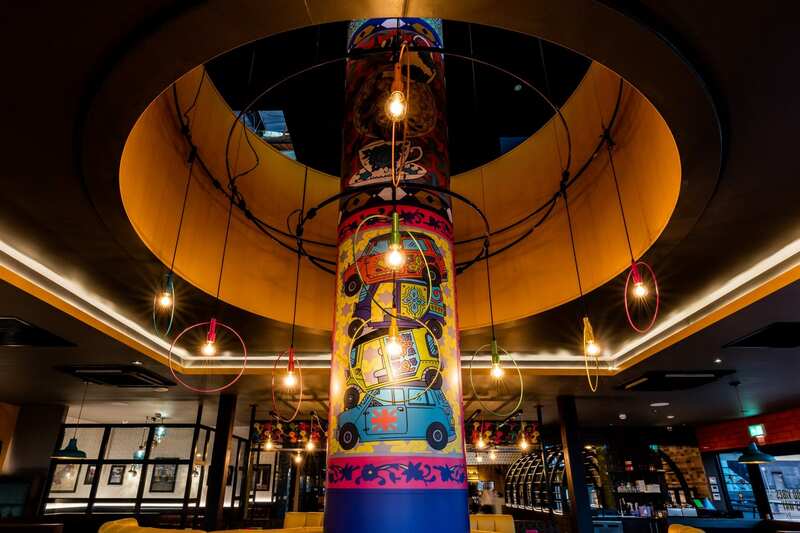 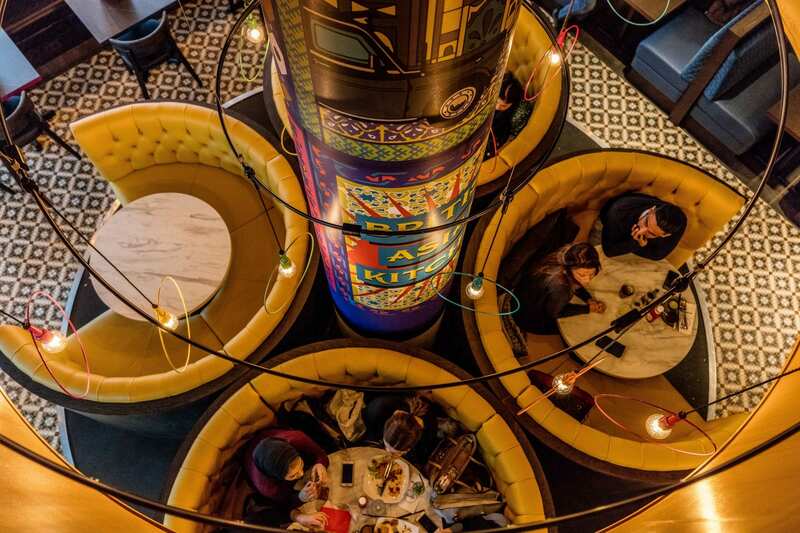 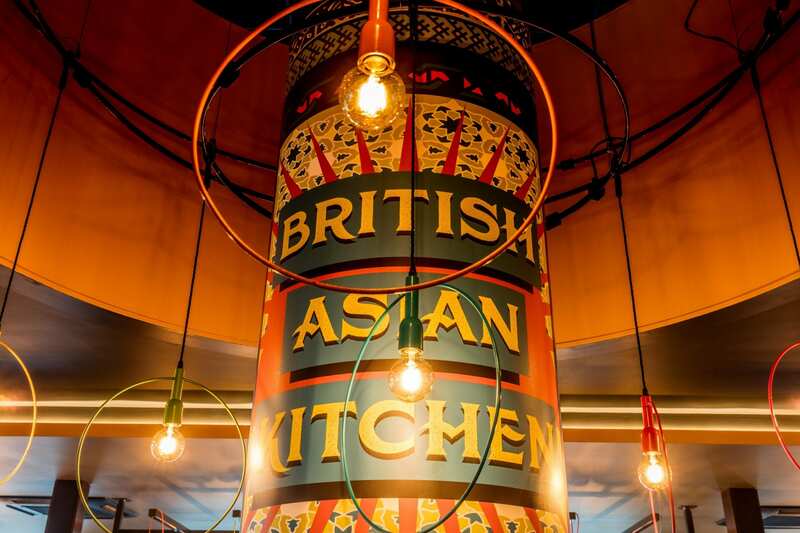 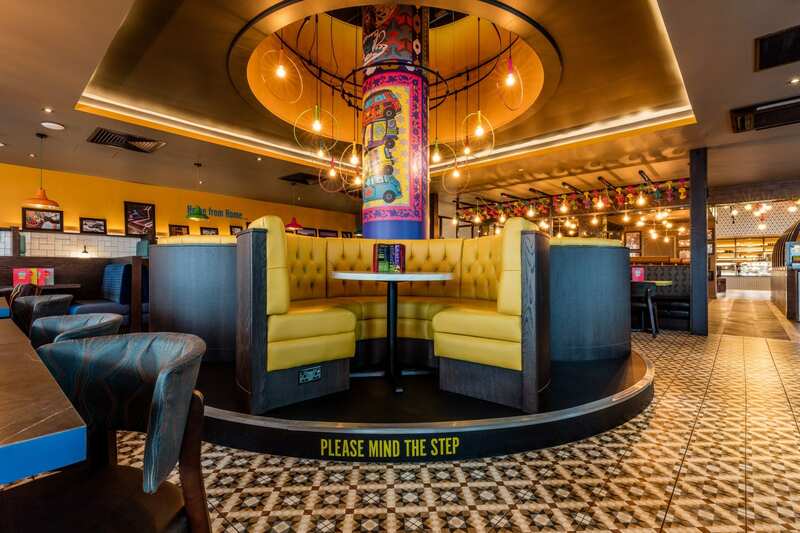 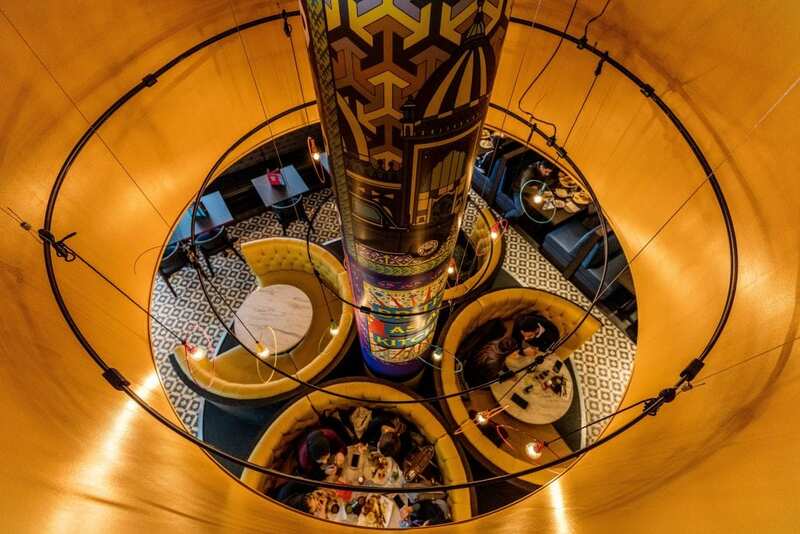 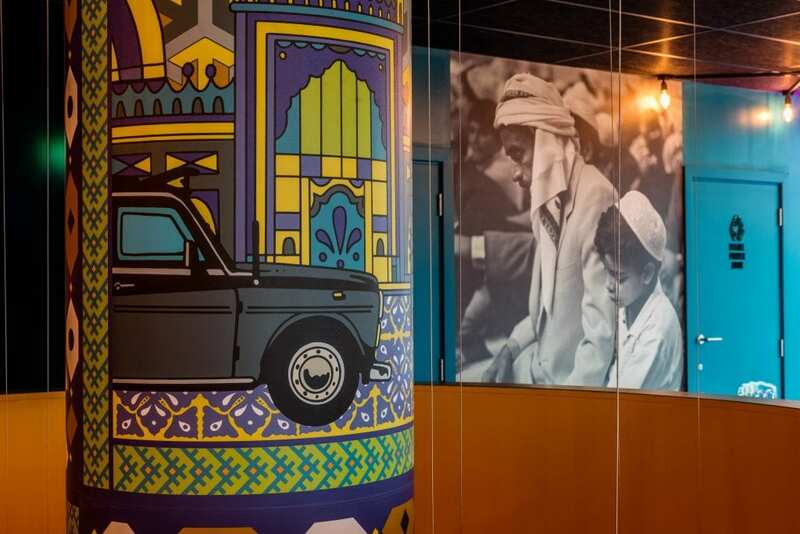 MyLahore own a chain of British Asian restaurants and wanted to create some authentic Asian inspired wall art to cover the central column that went over two floors within their new Leeds restaurant. 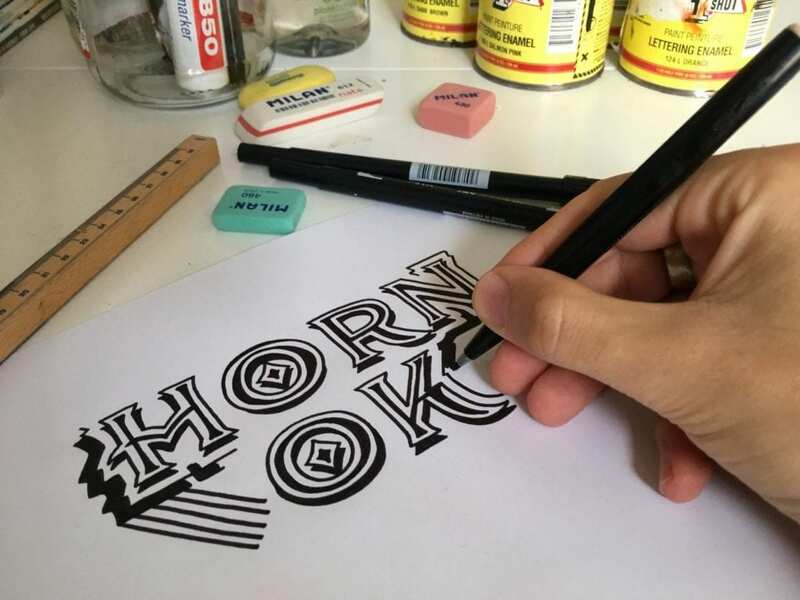 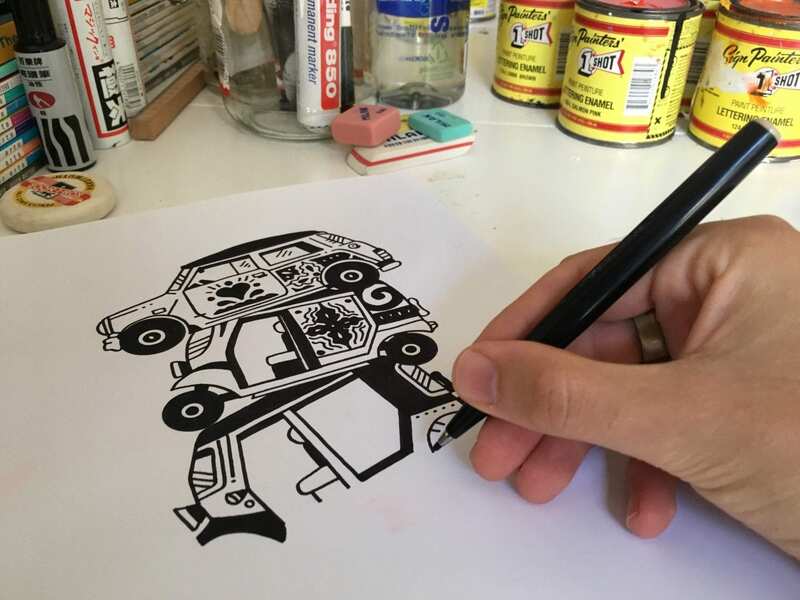 We illustrated authentic looking, hand-drawn Pakistani truck inspired art that had a clever mix of British and Asian influences within the designs. 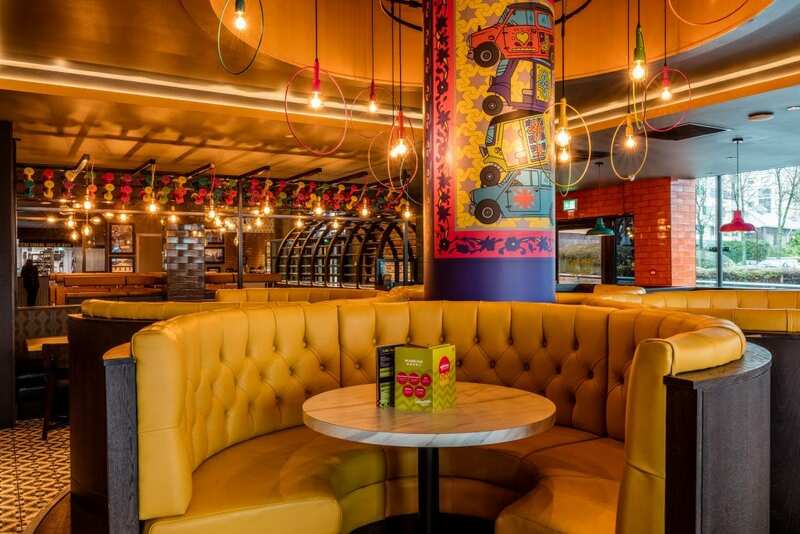 The final artwork incorporated the bright colours that were being used through the interior design scheme, so keeping a synergy throughout the space.